Hi everyone, today's post is all about the lovely shoot I had with Jessica's daughter Millie and her 3 lovely sisters. If you are inspired by Millie, just like I am then you can donate to her Just giving page here, to get her the treatments she deserve's to help her reach more incredible milestones. The main event - Millie's Grand Ball is being held 28th July at Holiday Inn Guildford from 6pm. 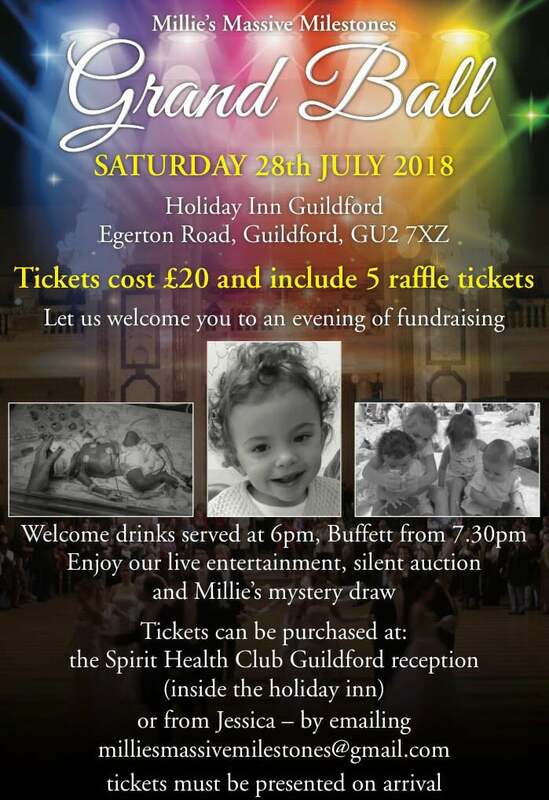 There will be live local acts from Guildford, Millie's mystery draw and silent auction (prizes will be shown on Millie's Facebook page during July, so people can bid on them then) There will also be a buffet, tickets are £20pp which come with a strip of raffle tickets.